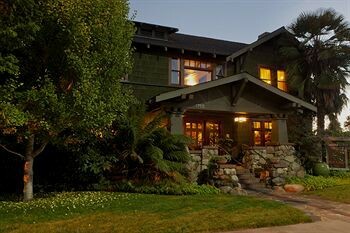 Property Location Blackbird Inn, A Four Sisters Inn is centrally located in Napa, walking distance from Quent Cordair Fine Art Gallery and close to Uptown Theater. This romantic bed & breakfast is within close proximity of Napa Opera House and Napa Premium Outlets.Rooms Make yourself at home in one of the 8 individually decorated guestrooms, featuring DVD players and flat-screen televisions. Your pillowtop bed comes with down comforters. Complimentary wireless Internet access keeps you connected, and cable programming is available for your entertainment. Private bathrooms have complimentary toiletries and hair dryers.Dining Mingle with other guests at a complimentary reception, held daily.Business, Other Amenities Featured amenities include complimentary newspapers in the lobby and coffee/tea in the lobby. Free self parking is available onsite.